Home »Beef Tapa 12 oz. »Beef Tapa 12 oz. CONTAINING UP TO 10% solution of: Sugar, Water, Salt, Spices, Citric Acid & Flavorings. 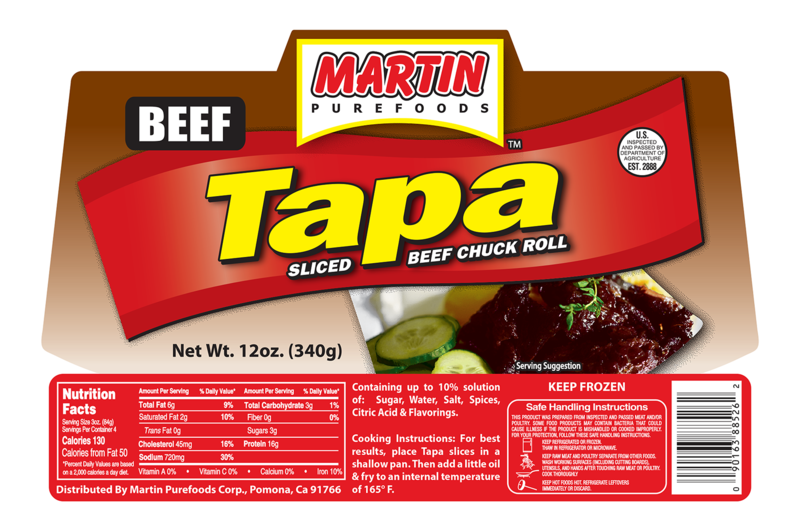 COOKING INSTRUCTIONS: For best results, place Tapa slices in a shallow pan. Then add a little oil & fry to an internal temperature of 165˚F. ← Previous Previous post: Beef Tapa 12 oz.